and the “Buyer” is the person, company or body placing an order with the Seller via the web site either directly or indirectly with intent to purchase goods and/or services described on the web site. No variation in these terms will be permissible unless signed by a Director of the Seller. on-line via our secure server. If you have placed your order on-line, we will quickly send you an e-mail to confirm that we have received your order. If you wish you can print this out so that you have a hard copy of your order details. The fact that you receive an automatic confirmation does not necessarily mean that we will be able to meet your order. Our prices are shown on our web site. We try to make sure that the prices on our website are accurate but we will need to validate the price before we process your order. If we are unable to supply a particular item which you have ordered or if the correct price for an item is different from the price on your order, we will notify you as soon as we can after receiving your order. If this happens, you may cancel your order and we will refund you any money that you have paid. All quotations given by the Seller (unless otherwise agreed in writing) are subject to withdrawal and alteration without notice and do not constitute an offer to supply goods. Goods supplied against order via the web site will be charged at the price and the date of despatch. Prices, unless shown in the checkout area of the web site, do not include the Cost of delivery and value-added tax which must be paid by the Buyer, unless stated otherwise. You can pay by Visa or MasterCard credit cards or debit card. To ensure that shopping on-line is secure, your credit/debit details will be encrypted and transmitted over a Secure Socket Layer (SSL) to minimise the possibility of someone being able to read your details as they are sent to us over the Internet. The prices displayed on are web site are in British Pounds Sterling and any orders received will be debited in British Pounds Sterling. In the case of orders received by the Seller from outside the UK, the exact exchange rate will be determined by your credit card supplier at the time the order is processed. Delivery of the goods will be arranged by ourselves using either our own delivery methods or using an outside contractor. You will be notified of the delivery cost before you submit your credit card details. If your delivery address is outside the UK and you order in any other way other than on-line, please contact us for details of the delivery charge. All goods received from the Sellers via a carrier must be signed for as “unexamined” and shortages and defects must be advised within 3 days of delivery (or collection). The Sellers shall not be responsible for any consequential loss or charge other than of replacing the defective unused goods. We believe that you will be delighted with your product but there may be occasions where you feel it necessary to return an item. We aim to keep the process as simple as possible. Please contact us directly to discuss any returns within 14 working days of the date on which you receive it. The Buyer will be responsible for the item or items until they reach the Seller. For the protection of the Seller, the Buyer suggests a secure delivery method is used that requires a signature upon delivery. If the Buyer returns an item to the Seller which is faulty, or that the Buyer did not order or for any other reason which is the fault of the Seller, the Seller will pay you the cost of the return postage. In such circumstances, please telephone or e-mail the Seller in the first instance and we will let you know how you should send the item to us. All refunds will be paid within 30 days of cancellation of order. In the event of return for reasons other than faults, a 15% re-stock fee may be applied by the seller. Re-stock fees are in place to cover inspection of the returned items. 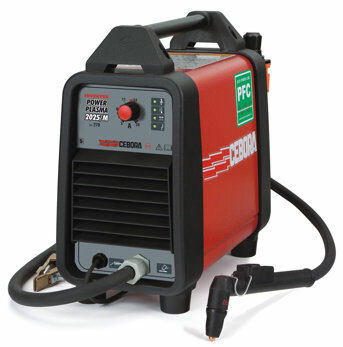 Please note: If the order is specified as being a “special order” (Often in the case of Tecarc machines), the buyer will be notified prior to shipping and returns will not be accepted unless the machine is deemed to be faulty. If in the unlikely event that you have a particular complaint then please click the ‘contact us’ link above and use our on-line response form. Please use the comments box to indicate any details of your complaint. At TBWS, we welcome any feedback so please use the form to inform us of any services you feel we need to improve. We acknowledge all complaints within 5 working days and will provide you with a likely timescale for resolving the dispute. The Buyer will be kept informed of the progress of any disputes. All complaints will be dealt with in the strictest of confidence. At TBWS we believe in providing a complaints procedure which is effective and fair at all times. The Seller is committed to protecting your privacy. Information that we collect about the Buyer will be used lawfully (in accordance with the Data Protection Act 1998) and according to the Which? Web Trader Code of Practice. The Seller collect information about the Buyer for 2 reasons: firstly, to process the Buyer’s order and second, to provide the Buyer with the best possible service. The Seller will give the Buyer the chance to refuse any marketing email from the Seller or from another trader in the future. The Seller will never collect sensitive information about the Buyer without the Buyer’s explicit consent. The information the Seller holds will be accurate and up to date. The Buyer can check the information that the Seller holds about the Buyer by emailing us. If Buyer finds any inaccuracies the Seller will delete or correct them promptly. The personal information which the Seller holds will be held securely in accordance with the Seller’s internal security policy and the law and the Which? Web Trader Code. If the Seller intends to transfer your information outside the EEA (European Economic Area) the Seller will always obtain the Buyer’s consent first. The Seller may use technology to track the patterns of behaviour of visitors to the site. This can include using temporary cookies which would be stored on the Buyer’s browser. The Buyer can usually modify his/her browser to prevent this happening. The information collected in this way can be used to identify the Buyer’s preferences when returning to the site. If the Buyer has any questions/comments about privacy, please use the contact form on the contact us form. These Conditions and any contract made subject thereto shall be subject to and constructed in accordance with the English Law. Please note that payment will not be taken until we can be sure that the order can be fulfilled. Orders will not be fulfilled until payment is received in full. 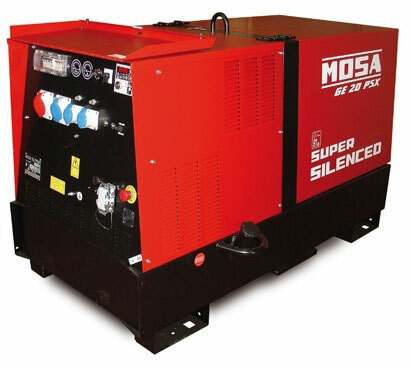 MOSA – Usually Free Next Day Delivery. Please contact us to check stock levels prior to placing order if next day delivery is essential. If the product is out of stock, we will contact you after you have placed your order to confirm a delivery date. JASIC – Usually Next Day Delivery. Charges may apply for shipping.Please contact us to check stock levels prior to placing order if next day delivery is essential. If the product is out of stock, we will contact you after you have placed your order to confirm a delivery date. CEBORA – 1 -2 Day Delivery with Free Shipping. Please contact us to check stock levels prior to placing order if next day delivery is essential. If the product is out of stock, we will contact you after you have placed your order to confirm a delivery date. JASIC – Machines come with a 5 year manufactures warranty. This is provided as a direct service between the purchaser and JASIC, rather than us, the retailer. For full warranty terms please visit Jasic.co.uk. Whilst TBWS will facilitate the communication with Jasic, any decisions made by Jasic regarding the outcome of a warranty claim are out of our control. TBWS will seek a fair resolution for the customer in all instances. CEBORA – All Cebora Machines bought from TBWS come with a 2 year parts and labour warranty. This is provided as a direct service between the purchaser and Cebora, rather than us, the retailer.